Americas Best Value Chalet Inn & Suites features some of Niagara’s finest accommodations located within easy walking distance of the falls, Casino Niagara, and many of Niagara’s leading attractions. This Niagara Falls Motel offrer guests with comfortable guestrooms and suites gaurenteed to make your stay a better one. Architecture resembling a European lodge lends to the ambiance of this fine establishment. 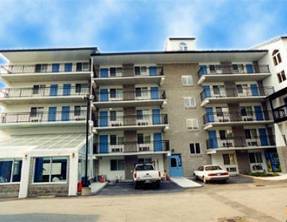 This motel has recently added five storeys, an indoor pool, large family suites, and an elevator to suit your needs when travelling to Niagara Falls.